From 58€ per night - 21 rooms of 3 types. All rooms have a flat-screen TV, free WiFi, heating, air conditioning and mirror. Most of the double rooms are exterior, with natural light. The rooms measure approximately 12m² and accommodate two people. 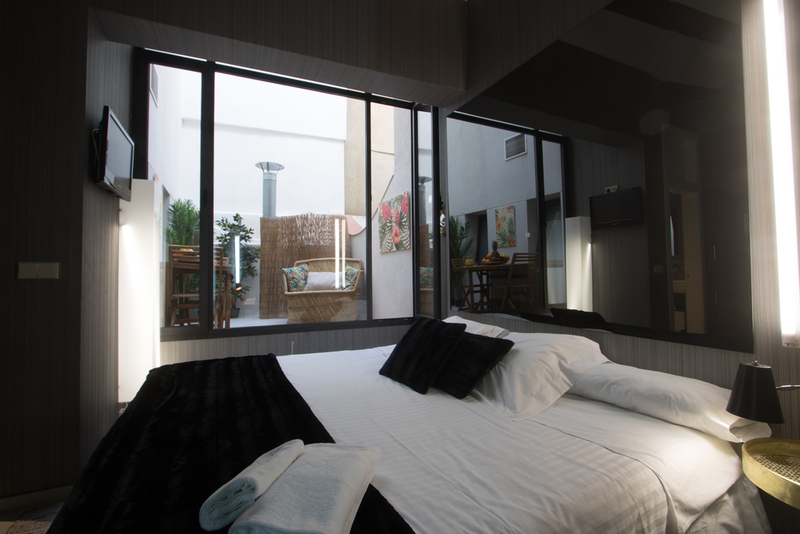 They have a comfortable 180cm x 200cm double bed and a private bathroom ensuite. All rooms have a flat-screen TV, free WiFi, heating, air conditioning and mirror. All the superior rooms are exterior with views and enjoy natural light. 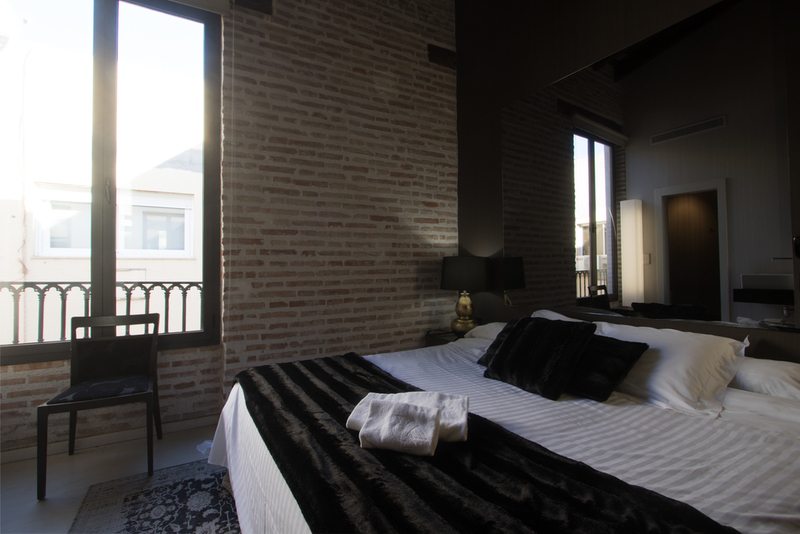 The rooms measure approximately 16m² and accommodate two people. Some of them have a balcony with a view over the main facade and others have a round bed. 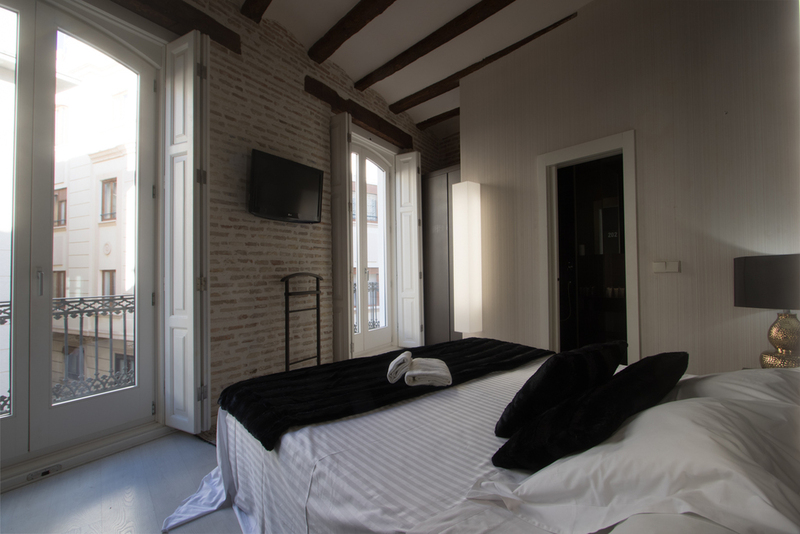 All triple rooms enjoy of natural light.The rooms measure approximately 24m² and can accommodate three people. Generally the triple rooms have two comfortable 135 cm x 200cm double beds and a private bathroom ensuite. One of them have a futon (sofa/bed). All rooms have a flat-screen TV, free WiFi, heating, air conditioning and mirror.